These series of pages are designed to inform the public about the Russian Invasion of Ukraine in a desperate attempt by Russia to discredit/dismantle Ukraine and prevent Russia from experiencing a coloured revolution where the masses wake up to the corruption of the Russian elites. It must be noted that there are many untruths spread by the Russian Propaganda Machine and Western Mass Media that have not taken the time to properly research the events in Ukraine. The following are some of truths that we wish to get across. This is not a civil war. This is not a rebellion of Ukrainian citizens who may or may not be Russian-speaking. Russian Speakers does not translate into support for Pro-Russian Government. 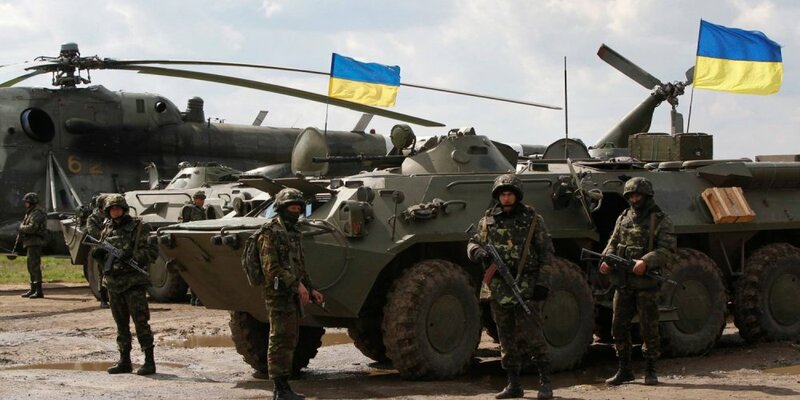 There are Russian Military Units on Ukrainian soil that do not hide their nationality/origin. There are Russian Military Units on Ukrainian soil that do hide their nationality/origin and that pretend to be as if they are "Russian volunteer" and/or "local units" units but are Russian regular Military. There are Russian irregulars who are paid mercenaries who have come to kill Ukrainians. Some are there for the money, others are Russian neo-NAZI's, and/or Russian Orthodox Christian Jihadists. There are Russian Internal Ministry troops from Chechnya that hide their origins. There is a small percentage of locals who were always loyal to Moscow but are almost negligible in numbers and were not involved in the early days. Russian aggression in Crimea and Donbas did violate the 1994 Budapest Memorandum which in exchange for Ukraine giving up it's nuclear weapons (it was at that time the 3rd greatest nuclear power in the world) it was guaranteed territorial integrity by the signatories, United States, Britain and Russia -- good indication that international agreements are just words on a page. If it was not for direct Russian intervention, Crimea & Donbas would have never revolted against the present Ukrainian government in Kyiv -- it was a manufactured inresurrection directed & controlled by Moscow with a direct goal of carving up Ukraine. Russia is an aggressor state & participant and not a 3rd party hoping to negotiate peace. The one fact that is ultimately clear, that this is a Russian Government Invasion of Ukraine, paid for by Moscow, armed by Moscow (where weaponry in occupied Donbas exceeds 3-4 major NATO member countries combined), soldiers supplied by Moscow, officers supplied by Moscow and under tight control of Moscow. In the end this was and is a Russian Invasion of Ukraine. This section on the InfoUkes web site is a work in progress and components will be added in over the next little while in hopes of dispelling the massive Russian Disinformation campaign being waged out of Moscow and St Petersburg Russia and to provide accurate information.